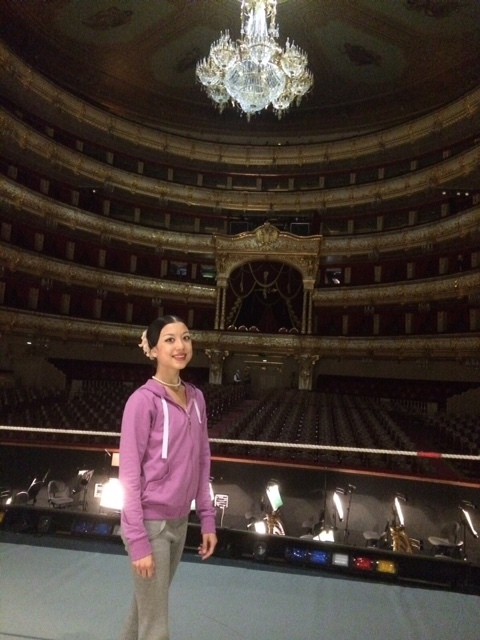 More performances on the Bolshoi Theatre Stage…..
September and October have been busy months for performances, too. In September, we performed the Katerina Ukranian character dance at a Jubilee birthday presentation for one of the teachers at the Academy, Evgenia Karapetovna Farmyants. 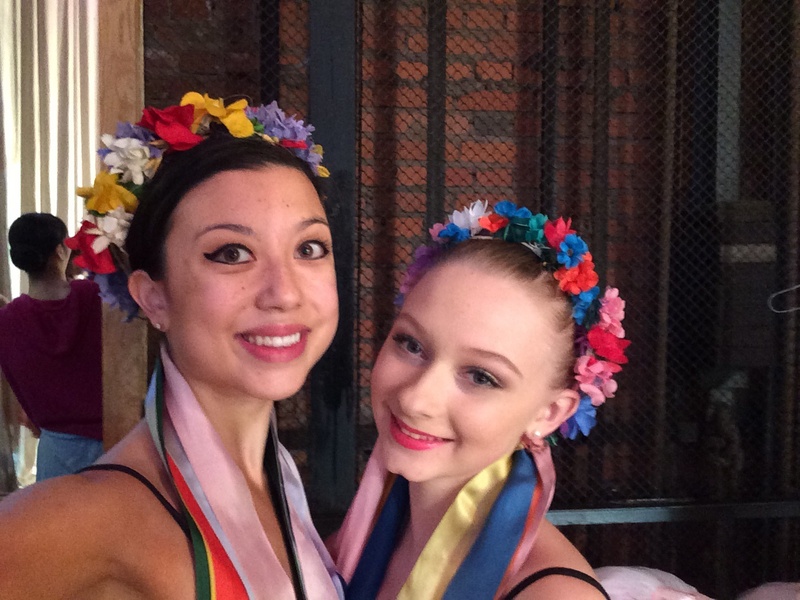 Also performing at this event was the amazing Maria Alexandrova, principal dancer with the Bolshoi. She performed a piece from the comedic ballet, The Bright Stream, and was so charming, not to mention technically brilliant. I thought the whole thing was a really lovely gesture to such a respected and influential teacher. It was also a privilege to be on the same stage as such an accomplished dancer as Alexandrova. 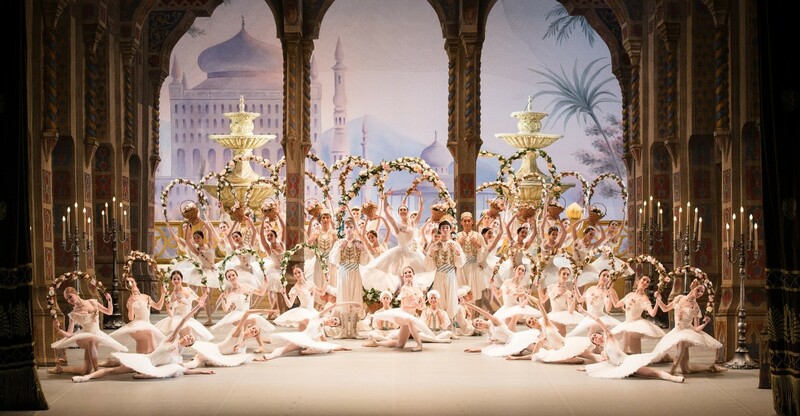 We also performed Le Jardin Anime, Le Corsaire, on the Bolshoi Theatre Historic Stage for the Golovkina Anniversary show. We were part of a performance with many of the Bolshoi stars. Alexandrova appeared again, this time in Raymonda, and then Nina Kapstova and Anna Tikomirova performed two of the solos that I have been rehearsing, Henriette from Raymonda and Aurora from Sleeping Beauty. I always love to watch professionals dancing variations that I’m currently working on in order to find nuances that they apply to their versions and to note their take on the choreography. 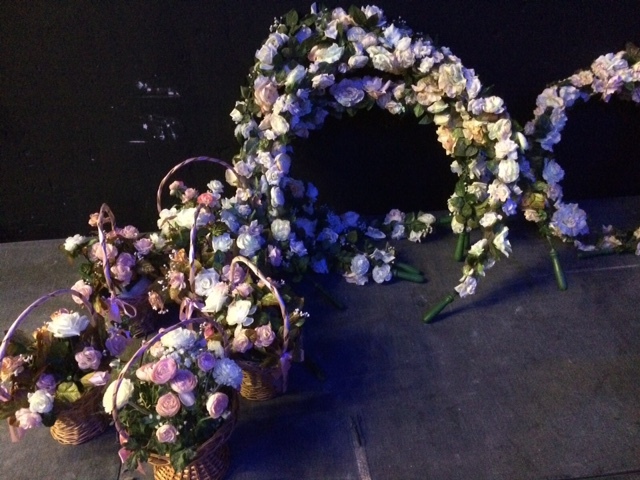 It was a marvellous experience, particularly as we were able to watch from the wings after our performance. The experience of dancing on the Bolshoi stage stage never diminishes, infact, I enjoy it more and more every time, especially as we were joined by so many of the professionals from the Bolshoi Ballet company. I’m constantly incredulous – I never cease to be aware of how lucky I am to be able to list such amazing experiences from my time here in Moscow.